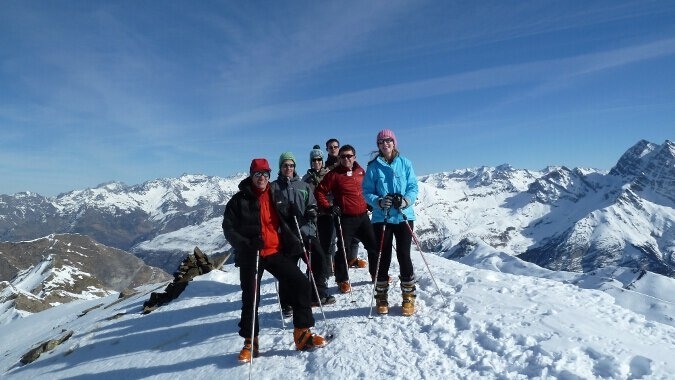 Pyrenees skiing holiday with mountainbug at the Cailloux catered chalet. 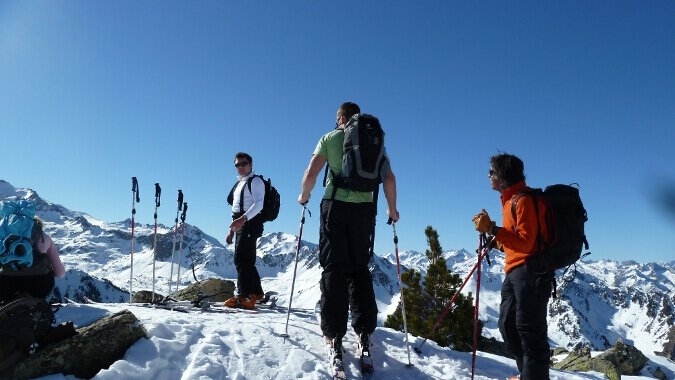 Mountainbug offers Pyrenees skiing holidays in the impressive Grand Tourmalet (Barèges-La Mongie) ski domain; the largest ski resort in the French Pyrenees. 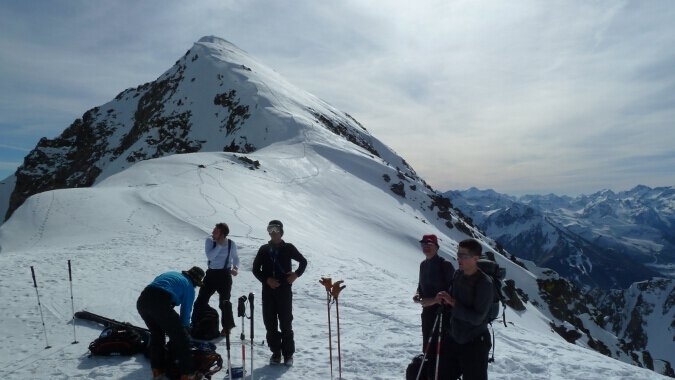 We offer catered chalet accommodation, as well as ski-touring, off-piste skiing trips and snowshoeing holidays in the Pyrenees. Our Winter Calendar has details of our prices and availability. 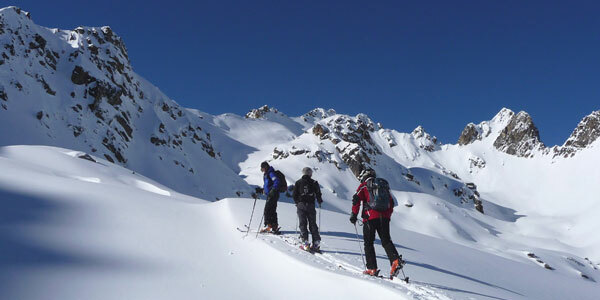 Skiing in the Pyrenees is a secret well-kept by the French and relatively unknown in the UK. 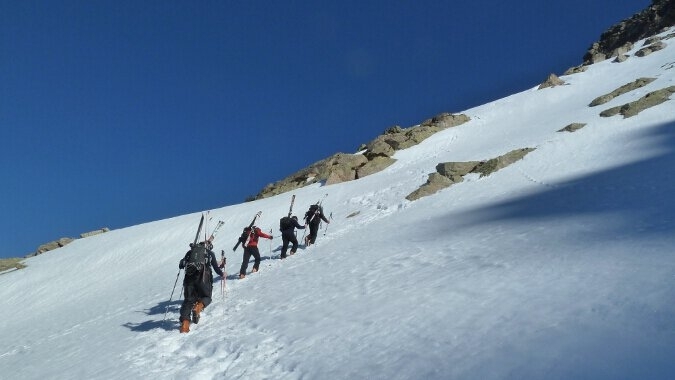 Read some of the Pyrenean skiing myths exploded here. 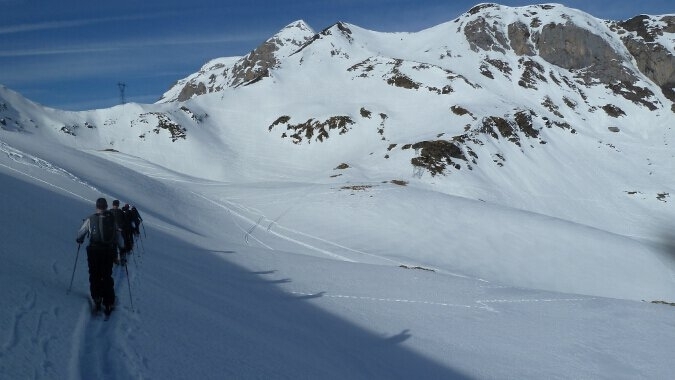 You can explore kilometres of well-groomed piste set in beautiful unspoiled scenery, for a fraction of what you would pay in the Alps, and without the crowds. 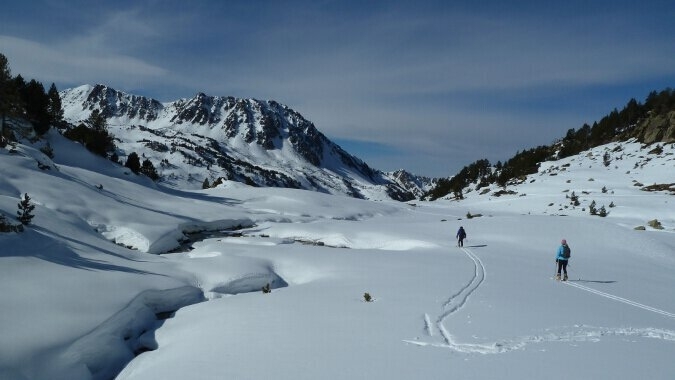 The Pyrenees are wonderful in the winter, receiving more snow annually than the Alps due to their maritime position near to the Atlantic coast. 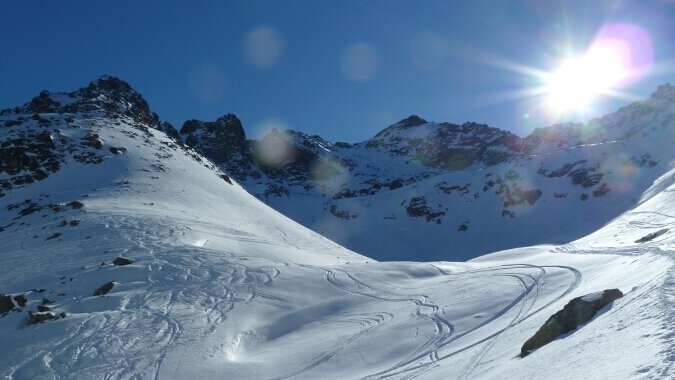 The weather conditions are also ideal – stable high pressure systems come up from the Iberian peninsula after the snows bringing clear blue skies, interspersed with heavy snowstorms to refresh the slopes. 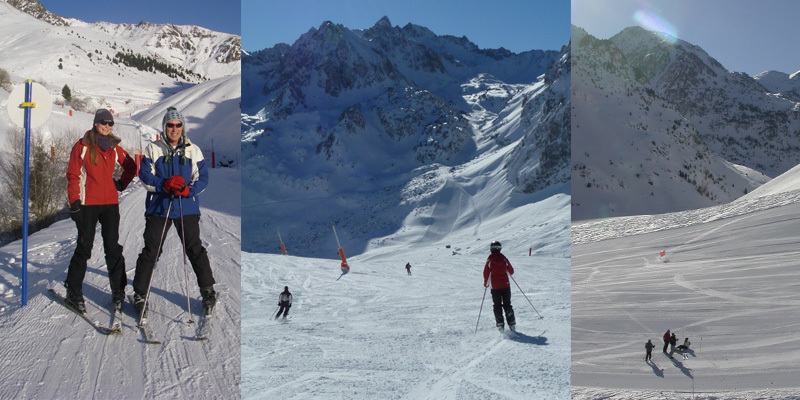 The Grand Tourmalet ski resort has a long season from the end of November through to the middle of April. Recent huge investments in snow-making equipment guarantee snow throughout the season and new pistes and lifts are being added every year. 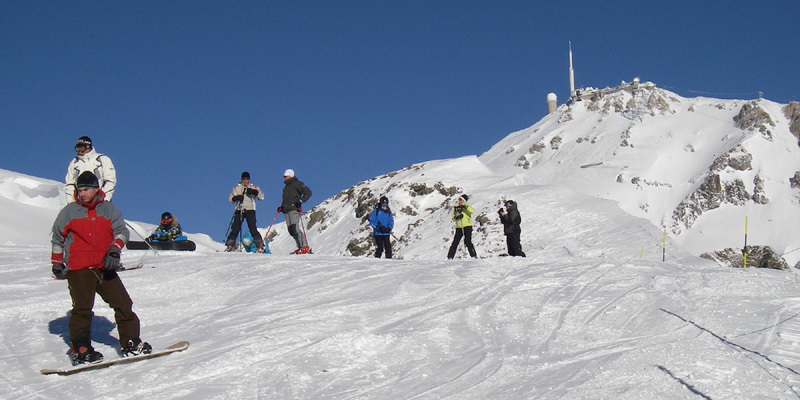 Grand Tourmalet resort offers a range of ski passes, from half day to whole week hands free passes, with discounts for students and families. An adult day pass for the whole resort is approx 40€, and a 6 day pass for the whole resort including the Pic du Midi is 213 €. A complete price list can be found on our Dates & Prices section. 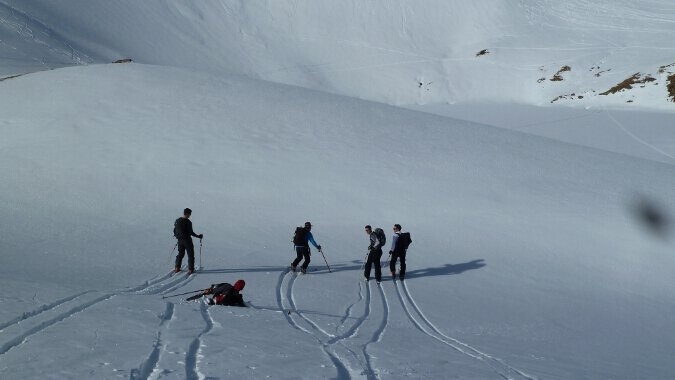 The Grand-Tourmalet resort has something for all levels of skier from beginners through to experts. Beginners have gentle nursery slopes to practice on, with “magic carpets” taking you up the slopes. There are then beautiful, wide runs to try your new skills on, including a green and blue run back to the village. 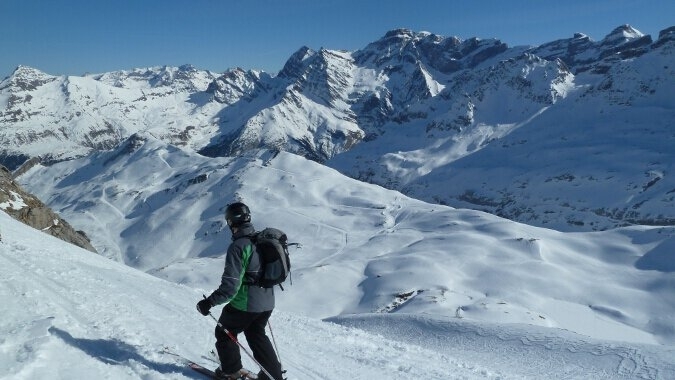 The resort has 17 green and 21 blue pistes, making it possible to visit all of the interconnected ski areas without straying onto anything too challenging. 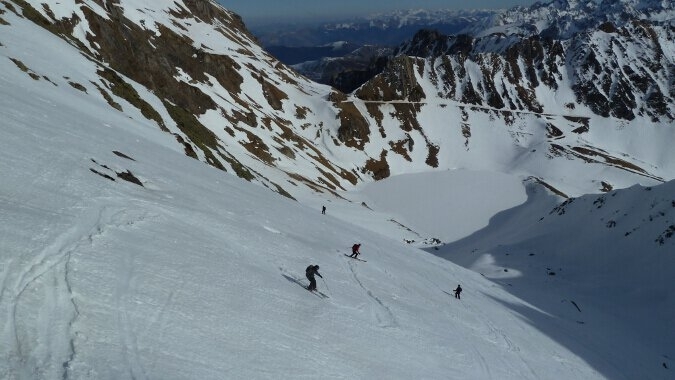 For the more advanced skier, there are 21 red runs, and 7 blacks, as well as huge off-piste potential. 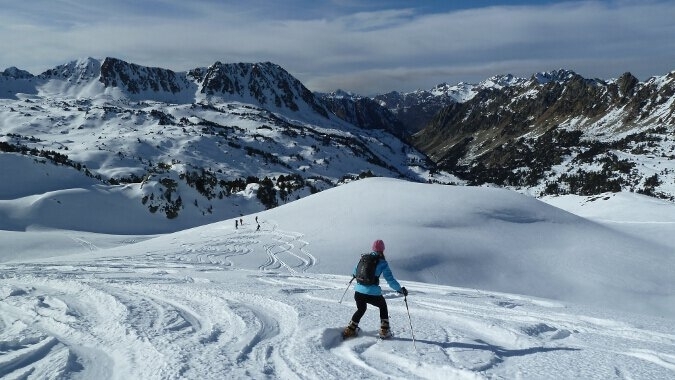 Off piste-skiing and ski touring in the Pyrenees is becoming more well-known and the local ski instructors are swift to encourage forays away from the pistes. The Pic du Midi lift and observatory is now open, as part of the standard ski pass, to anyone wishing to attempt the legendary off-piste descent from the observatory at 2877m right down into the Barèges side of the resort. 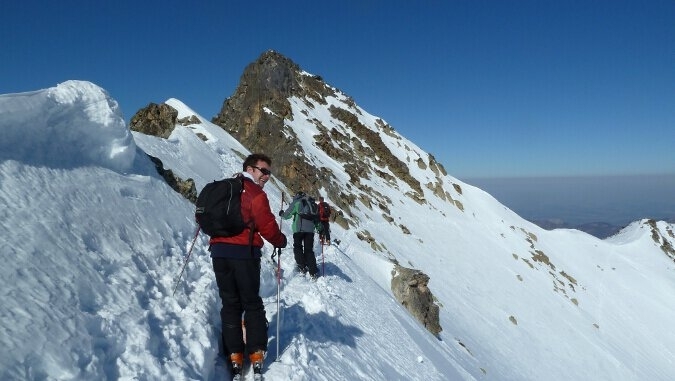 We are happy to arrange a guided excursion to/down the Pic du Midi. 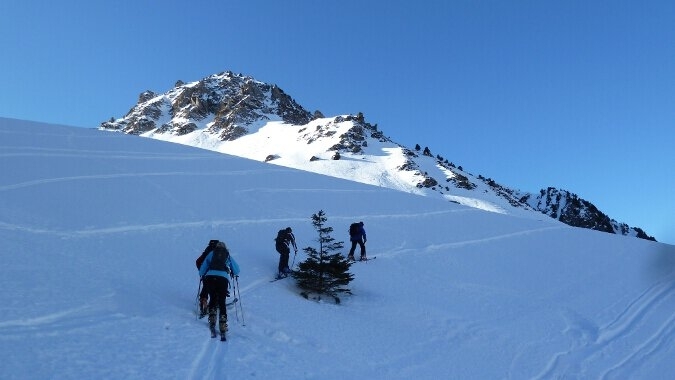 There is a vertical mile of off-piste descent which can be made via several routes from the fairly straight forward South face to the very steep and technically challenging North face couloir. For those who are not quite ready to jump off the top there is an amazing view of the Pyrenees from the summit as well as the observatory itself to explore and its restaurant and cafe to contemplate the view from. 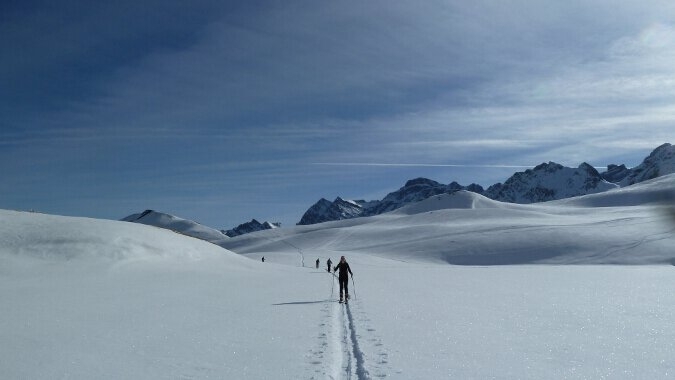 If you’d like to take your skiing or snowboarding to the next level or want to really reach those hidden places, which few get to, then we recommend you join one of our guided ski-touring or off-piste ski safari trips. 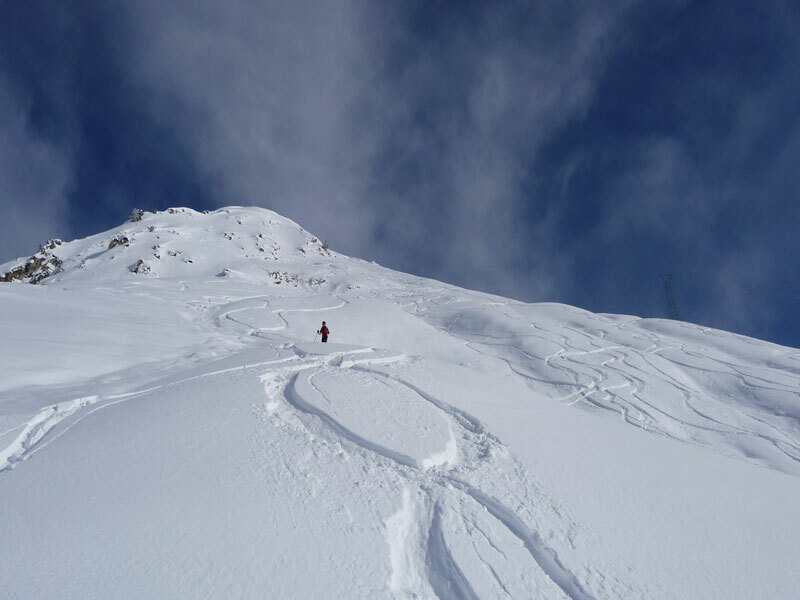 On these trips, you’ll be accompanied by a local, qualified, experienced guide who knows the area intimately and can take you to exciting, unknown places where you can carve your own route in virgin, untracked powder. Your guide will take care of all the safety aspects (such as carrying emergency gear, avalanche trackers) and where to go. Read more about the Grand Tourmalet ski resort and the opening of the Pic du Midi to skiers at www.pistehors.com (good off-piste skiing website). 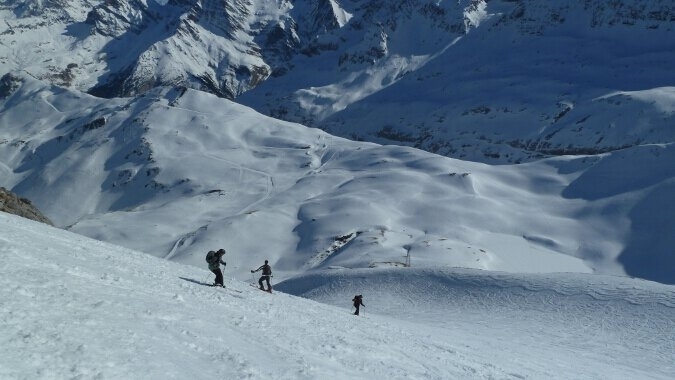 To quote the site: “Barèges already offered many and extensive off-piste opportunities but this move has placed it firmly in the big league.”…. 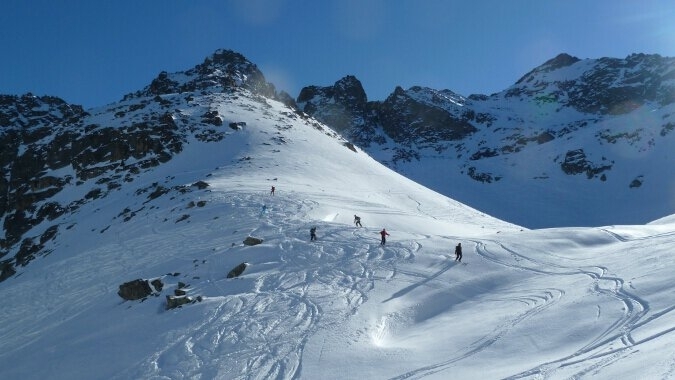 The Tourmalet ski area is ideal for snowboarders because almost all of the resort is accessible by chairlift and most of the runs are really long and wide. 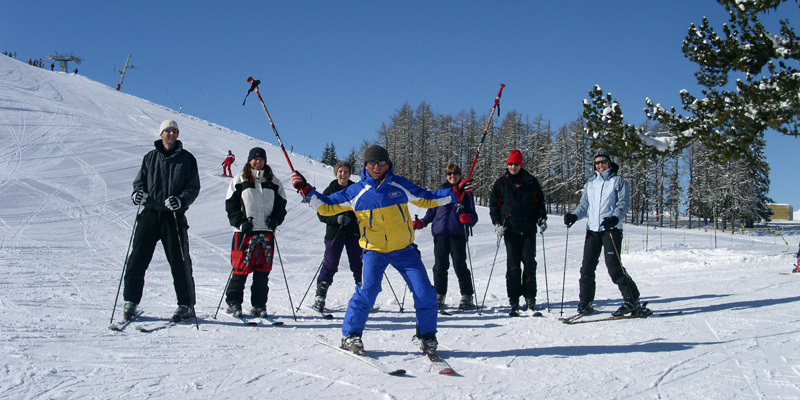 Beginners will find the easy slopes of Laquette ideal for learning, and the ski school instructors are great fun, helping you do what you came out here – enjoy the snow. Intermediate and advanced boarders in particular will love the snow park and huge off-piste potential just next to most of the runs. The resort is home to several important snowboarding/freeride competitions – the Dragon team made good use of the chalet’s railings in the heavy winter of 2005! Quicksilver 4* TTR “Mathieu Crepel Invitational” (February 2008) – the first World Championship snowboarding event to be held in the Pyrenees, arranged by Mathieu Crepel – local snowboarder and World Champion in 2005/2006. Some of the best riders in the World met at the Tourmalet ski resort to take part in this slope-style contest on a Big Air jump constructed on the “piste de Toue”. How do I get to the resort from Barèges? The ski resort has free parking both in the village and just up the road at Tournaboup, where the main lifts depart. From our base in the village of Barèges, Tournaboup is five minutes ride on the free ski bus, which stops every 15 to 20 minutes near your accommodation. We work with a couple of local ski hire shops, providing the best ski and snowboard gear for our clients with a high level of service. Except for peak times, it is easy to arrange gear hire when you arrive. However, for peace of mind, we can reserve your gear for you. See our ski/snowboard hire page for details and prices. MountainBug offers ski and snowboarding accommodation at our 3-star catered chalet “Les Cailloux” in the traditional French mountain village of Barèges, one of the original French ski resorts. Your holiday price includes half-board accommodation, with afternoon tea, based on two people sharing an en-suite bedroom. Discounts are available for large groups (8 or more) and for triple and quadruple rooms, so please enquire. The chalet is perfect for relaxing après ski, in front of the fire in the lounge, where there is a good selection of English books, family games, CD and DVD player with a big-screen digital projector, free internet access and a well-stocked bar. Barèges is a small, friendly French mountain village. It’s quiet out of the main season but gets lively during the holiday periods. The village has several good bars and many hotels, all of which have a public bar. The chalet’s local bar, “Le Richelieu, made famous by its legendary 2.5l lager “giraffes”, is run by our neighbours and is just round the corner from the chalet. It has a pool table and “babyfoot” table football, and shows all of the big games for sports fans. The village also has a cinema and thermal spa baths. The spa is the highest in France and has recently been completely refurbished – well worth a visit for some apres-ski pampering!